It can be quite challenging to have to do without your appliances. This is whether they are small appliances, such as blenders or toasters or iron boxes, or big appliances like your kitchen stove or washing machine or refrigerator. When they break down, you will need to fix them fast. During such times, it is best to hire a Gilbert, AZ appliance repair professional instead of trying to fix the appliance by yourself. A professional will diagnose the problem and also fix it at an affordable price, therefore, there is no need to work on the appliance by yourself if you do not know what you are doing. Our appliance repair Gilbert, AZ professionals are trained and certified, so they are familiar with how to fix a wide range of appliances. Even though it might seem easy to fix the appliance, it is more complicated than you think and you could end up making it a lot worse than it originally was. This will force you to pay more for the repair or you might have to replace the damaged appliance. That is why you should leave the repair work to the professionals. Since our small appliance repair Gilbert, AZ technicians are experienced and knowledgeable, they are familiar with how the mechanics of most appliance brands work, so they can fix them up quite fast and efficiently. If you were to do the job yourself, it would take you longer to complete the task, which means that you will not be able to use the appliance for quite some time. Same day service – Our technicians will come with the required tools and parts to do the job. This makes it possible to fix the problem within one day. Expert service - Our professionals are experienced and trained, therefore, they know what they are doing. Seeking expert help should give you a peace of mind. 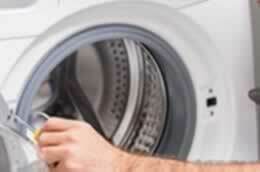 Punctuality - When you book an appointment with us, our appliance repair Gilbert, AZ professionals will arrive on time. We will work with your schedule and slot in an appointment when it is most convenient for you.